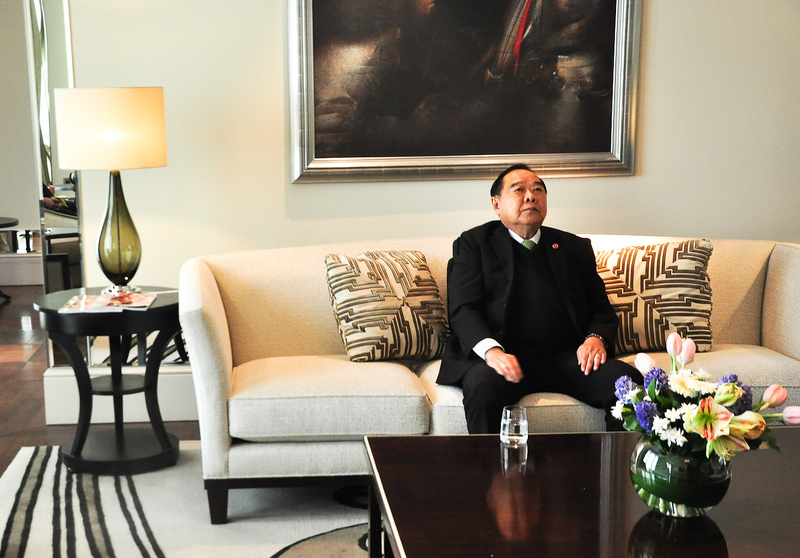 Prawit Wongsawan confirmed that Bangkok is interested in expanding cooperation with Russia in the field of security. Thailand’s much-awaited decision over the purchase of Russian T-90 tanks will be only made in May, when Thai Prime Minister Prayuth Chan-ocha meets Vladimir Putin in St. Petersburg. Despite the media hype, a potential sale of tanks may not be the most important Russia-Thailand bilateral development in the run-up to the 120th anniversary of diplomatic relations, which will be celebrated in 2017. Judging by the secrecy surrounding the recent Moscow visit of Defense Minister Prawit Wongsuwan and Deputy Prime Minister Somkid Jatusripitak, it is fair to assume that Russia and Thailand will sign a number of major agreements during Thai Prime Minister Prayuth Chan-ocha’s visit to St. Petersburg in May. In the last 18 months, Thai PM Prayuth Chan-ocha has met Russian Prime Minister Dmitry Medvedev thrice, most recently in Thailand in April 2015. A source familiar with the situation told RBTH that the Thai ministers were pleased with both the results of their talks in Moscow, and to discover new opportunities for trade. On his return to Bangkok, Somkid Jatusripitak is believed to have instructed Thai ministries to intensify the preparation of the documents and agreements for Prayuth’s visit to Russia. Analysts interviewed by RBTH say that by reaching out to Moscow, Bangkok sends a strong signal to Washington and Beijing that it has an alternative major ally, which is ready to supply weapons. Thailand is also conveying to the U.S. and China that it is trying to diversify its economic and military relationships. “The fact that Bangkok is open to buying T-90s, aircraft, and naval equipment from Russia means that it is committed to re-equipping its armed forces to enhance performance, rather than looking for political expediency,” Andrei Gubin, head of the Asia-Pacific Centre of the Russia's Institute for Strategic Studies, told RBTH. During an interview with RBTH in late February in Moscow, Thai Defense Minister Prawit Wongsawan confirmed that Bangkok is interested in expanding cooperation with Russia in the field of security, the fight against terrorism and international crime, as well as in the exchange of intelligence. He added that the countries would cooperate in military logistics, conduct joint exercises and hold regular exchanges of military personnel. Prawit said Thailand would buy some Russian dual-purpose equipment, but would not disclose any further details. He also shied away from answering a question on whether Thailand was going to replace its Ukrainian-made Oplot tanks with the Russian T-90s or would choose Chinese tanks instead. A Thai government source told RBTH that this information is available to a limited number of people. An indirect confirmation of serious interest in the T-90 can be seen in the fact that other members of the Thai delegation paid a visit to a tank factory in Nizhny Tagil. Bangkok-based daily The Nation reported about the visit to the factory. Despite the fact that the head of the General Staff of Thailand, Gen Theerachai Nakwanich, traveled to China in late January to inspect the MBT3000 and VT4 tanks and was satisfied enough to recommend their purchase, Vasily Kashin, a China expert from the Center for Analysis of Strategies and Technologies, believes Russia is in the running. “Russian tanks are now cheaper and better than the Chinese,” he says. However, Kashin cautions that the deal depends on many factors, including the conditions offered by Moscow. According to the RBTH’s Thai government source, top executives of a number of major Russian companies attended the February talks with Somkid Jatusripitak. The deputy prime minister promised them assistance in entering the Thai market. One of these companies was the Vladivostok-based Fesco Transport Group, the oldest logistics company in the Russian Far East, founded during the reign of Alexander II in 1880. Magnit, which owns the largest network of grocery stores in Russia, was involved in negotiations with the delegation for the supply of Thai agricultural products. The Thai delegation was also introduced to Group-IB, ranked by the Business Insider magazine among world's seven most influential companies in the field of cyber-security. Somkid is believed to have especially appreciated his interaction with Sistema, which owns the largest mobile phone operator in Russia, MTS. The outcome of these delegation-level talks will be much clearer when Prayuth Chan-ocha meets Vladimir Putin in St. Petersburg in May.